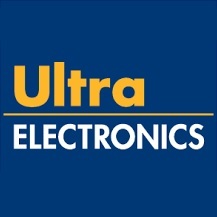 Ultra Electronics has secured a potential $34.5M cost-plus-fixed-fee contract to develop and produce qualification systems for the U.S. Navy's Next Generation Surface Search Radar program. The military service aims to replace legacy AN/SPS-67, AN/SPS-73, BridgeMaster E series and commercial of-the-shelf radars with a new system in an effort to address military threats and obsolescence challenges, the Department of Defense said Friday. The contract has an initial value of $27.9M and the base period of performance runs through July 2021. The Navy will obligate $5.5M in fiscal 2018 "other" procurement funds at the time of award. DoD said the service did not conduct a competitive procurement for the project in accordance with 15 U.S. Code 638(r)(4).